From 25 May 2018, the provisions of the Regulation of the European Parliament and the Council (EU) 2016/679 of 27 April 2016 on the protection of individual with regard to the processing of personal data and on the free movement of such data and the repeal of the Directive 95/46 (GDPR) shall apply. The most important goal of the GDPR is to strengthen the protection of personal data of individuals, which is collected and processed by companies and institutions operating in the European Union. Our company attaches great importance to meet the requirements arising from the GDPR. Below, we are presenting you necessary information regarding the application of new regulations in the field of personal data protection. The administrator of your personal data is Piotr Pundzis, running a business activity under the name Zaklad Produkcyjny ALEXANDER Piotr Pundzis, Telewizyjna 19 Street, 80-209 Chwaszczyno, NIP: 5891439727, REGON: 191477745 (hereinafter referred to as ALEXANDER). 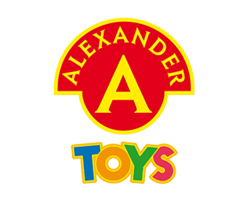 ALEXANDER processes your personal data, i.e. it collects, fixes, stores, removes or destroys it. The provision of personal data is voluntary, but without this data, we will not be able to properly execute the concluded agreement, for example, deliver the ordered game or legally issue an invoice. Recipients of personal data obtained by the administrator may be banks, courier companies or administrators of electronic payment systems. If the processing is based on consent – the right to withdraw consent at any time without affecting the legality of the processing, which was made on the basis of consent before its withdrawal. Without undue delay, and in any case within one month from the date of receipt of the application, ALEXANDER provides the data subject with information on activities taken in connection with the implementation of the above-mentioned rights. Both during the validity of the current provisions of the generally applicable law on the protection of personal data (the Act on the protection of personal data and the executive regulation to the Act) and in the light of new European regulations, ALEXANDER processes your data with the use of appropriate technical and organizational measures necessary to ensure the security of this data. Your personal data is the most valuable resource for our company. 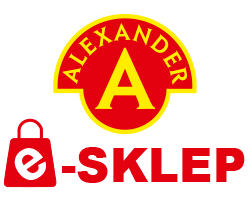 Therefore, ALEXANDER has implemented and it implements adequate technical and organizational measures ensuring the protection related to the processing of personal data, in particular protection of data against its unauthorized removal, loss and alteration, damage or destruction. Additionally, all information regarding the Client – ALEXANDER relation is a legally protected business secret. On the day of entry into force of the GDPR, ALEXANDER appoints the Data Protection Inspector, with whom you can contact by mail – directing correspondence to the address ALEXANDER with the note Data Protection Inspector or to the e-mail address: iod@alexander.com.pl. 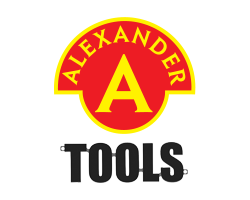 We inform you that ALEXANDER does not forward your data to third countries, as well as it does not use tools based on customer profiling.